The game has some undeniably solid gameplay mechanics behind it, but how exactly did the actual idea behind the marauding sushi come about? 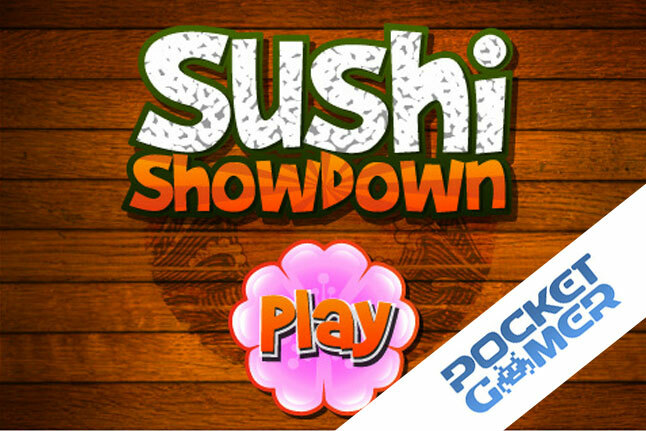 In terms of Sushi Showdown’s design, a very popular genre in the App Store also proved influential. One of the game’s most notable strengths is its presentation. From the wonderfully bizarre opening cut-scene (see the trailer below) to the crisp and colourful artstyle the game oozes personality. Ng claims that a lot of care ended up going into the design of the sushi itself, and is the part of the game that his team are most proud of. “We really loved the characters, especially the Bosses,” says Ng. “The research that went into it was actually quite in-depth. We wanted them to be as authentic as possible. For more, do read the entire article on PocketGamer – Mezmedia on how Sushi Showdown on iOS is a true gaming delicacy. Download the free version of the game here.